To say it’s been a busy summer would be an understatement. Between the ending of a long-term relationship, a parent diagnosed with lung cancer and a shift in focus to original art it has been one hell of a hectic and novel ride. 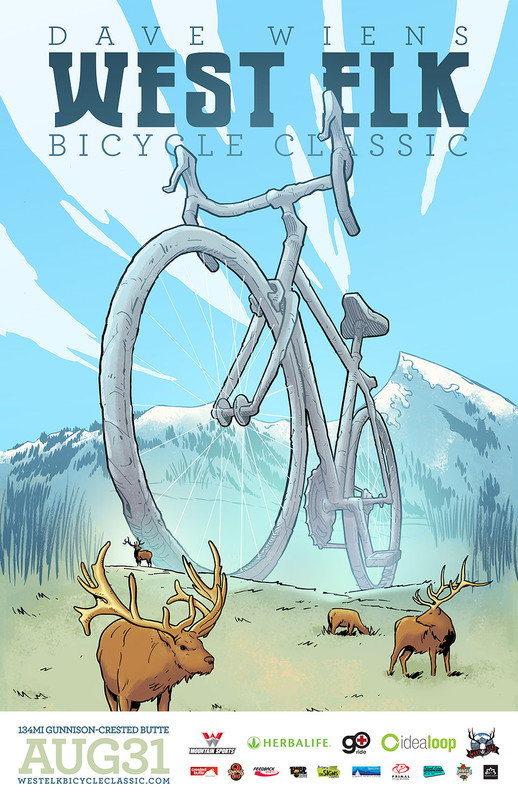 It’s also been very productive and without further ado I present Part 1 of the ArtOfWarlick 2014 Summer Art Dump: The West Elk Bicycle Classic. This piece was commissioned by the organizers of the West Elk Bicycle Classic for this summers not-a-race through Crested Butte. This was a treat to work on as they let me have pretty much free reign with the concept and execution. There are two versions currently floating around Colorado, one with the copy and logo lock-ups and another, rare run without them.